This UPS for Mac might be attractive enough to show off, but what about its connections? The UPS (or, to give it its full title – uninterruptible power supply) isn't the most exciting device you can connect to your Mac, but it performs a useful function. If your mains electricity supply cuts out, the UPS takes over and powers your equipment from its own battery. 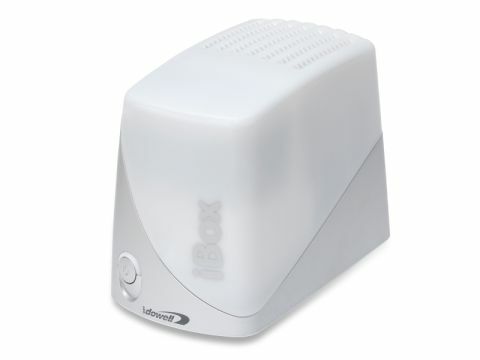 When the mains power fails the iBox kicks in, offering up to 20 minutes of emergency power. A red light and beeping sound alert you to the problem and this beep changes tone when emergency power is low, so you know that it's definitely time to save your work. If you connect it to your Mac via USB, you can configure Energy Saver in System Preferences to put your Mac to sleep or shut down completely after a set time running on UPS. The iBox isn't generous with its connectors though. You can only connect two devices via kettle leads out of the back. While the iBox is much better looking than most UPS systems it doesn't really need to be on view on your desk, and being restricted to two kettle lead-powered devices means you can't connect your peripherals along with your computer. This can be problematic if you use an external hard drive, for example. So instead, why not get a UPS that offers far more sockets and takes three-pin plugs so you can also connect anything electrical? You'd also save almost half the asking price of an iBox too, so shop around.